Ennis is a great destination for a Hen Party, with a relaxed atmosphere it combines the beauty of county Clare with a vibrant night life. With a multitude of pubs, clubs, restaurants and places to stay, a hen party in the bustling and lively town of Ennis will definitely be one to remember! Knox’s pub is one of the most popular pubs in Ennis town especially for hen parties, offering a fantastic selection of cocktails! While the pub is well known for its bar and bistro food, Knox’s is particularly renowned for its live music and late bar from Thursday to Sunday. Charlie Stewart’s is a lively pub, offering live music on Thursdays and Sundays and a DJ on Fridays and Saturdays. This is one of the biggest pubs in Ennis as well which gives ample room for dancing. 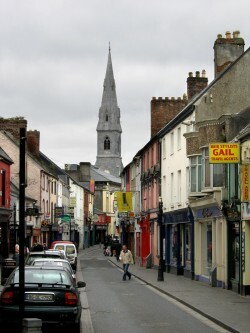 There are two nightclubs in Ennis town and both are located in the Queen’s Hotel –Outer Limits Nightclub and Sanctuary nightclub. The Outer Limits nightclub showcases the latest chart music and top DJs as well as a VIP area offering complimentary champagne. However, it is very popular with the younger crowd which means that it can get quite messy. The Sanctuary nightclub is popular with a slightly older clientele with its offering of 60s, 70s and 80s music. However, once you pay into either of these clubs, you get entry to both venues.